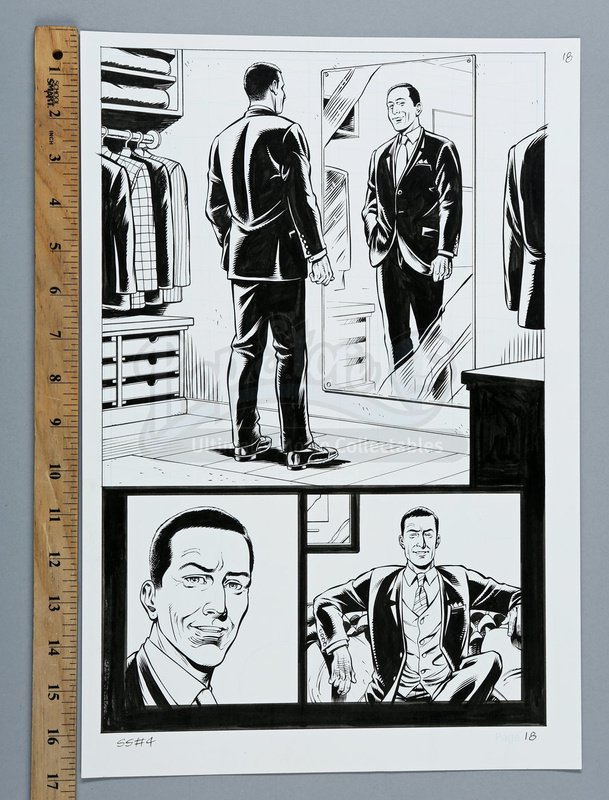 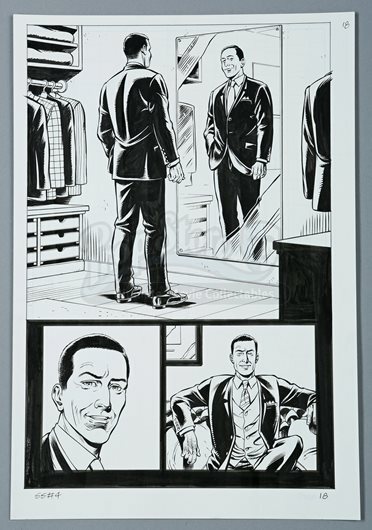 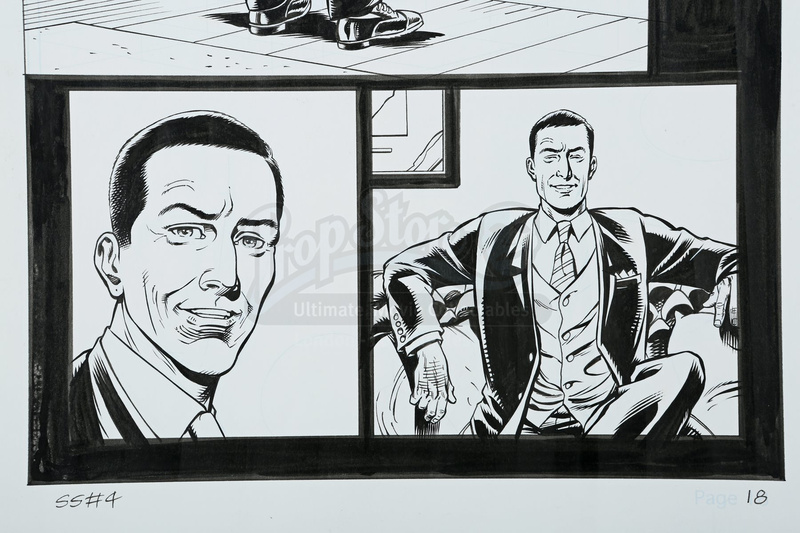 Hand-drawn page 18 artwork by Dave Gibbons featuring Eggsy donning his new suit for The Secret Service #4. 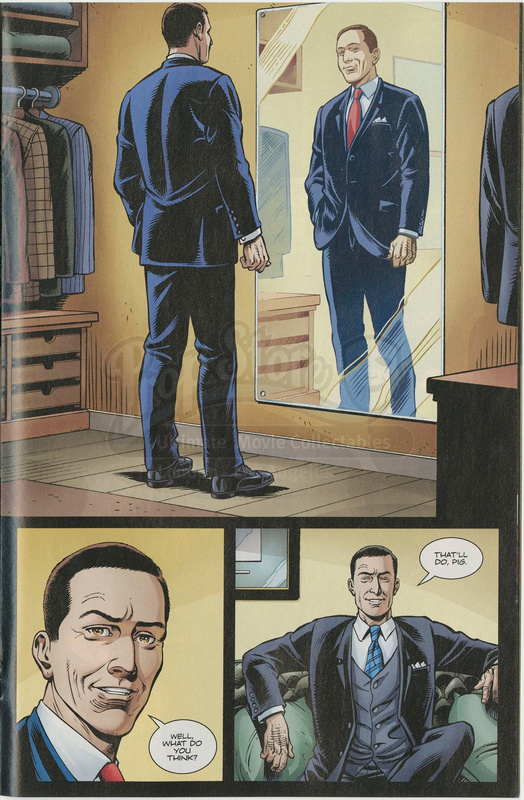 A defining moment for any new Kingsman, this page shows Eggsy admiring his new look as an agent for the Kingsmen. 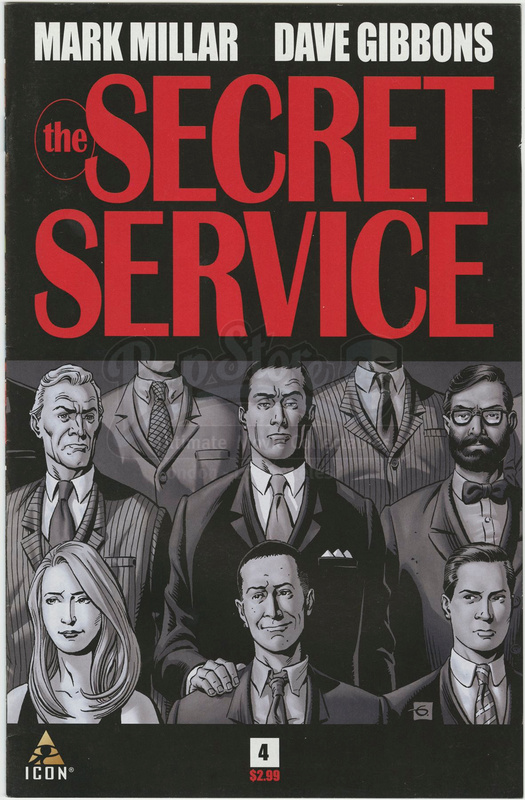 This main image was also used as the back cover of the Kingsman: The Secret Service graphic novel, which reprinted the entire series in one book. 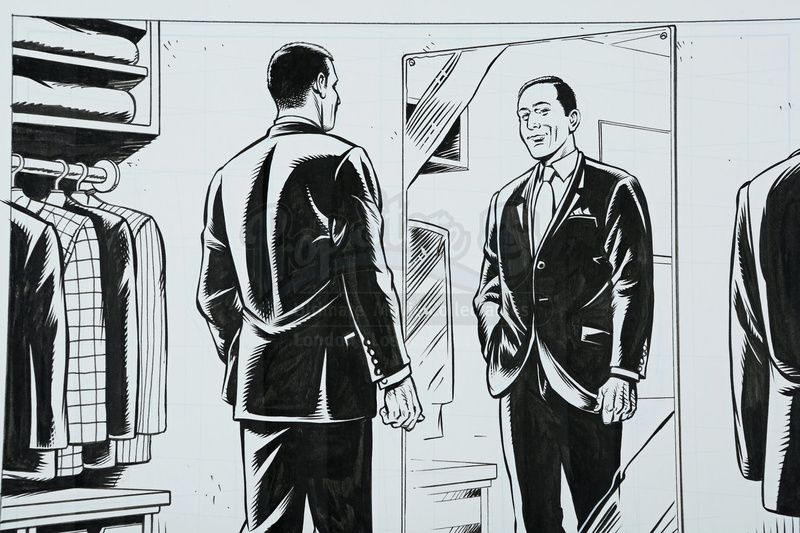 This scene also served as inspiration for a similar moment in the first Kingsman movie.